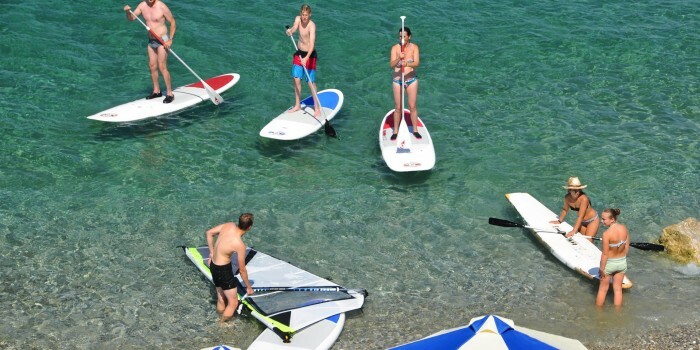 Get your SUP’s & windsurf for free at Lido Hotel! 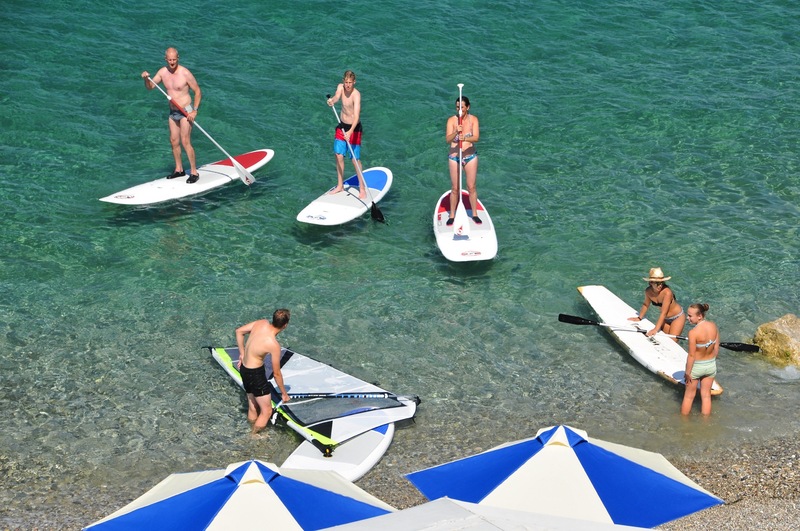 Stand up paddling is one of the biggest watersport trends and not without a reason… It’s a great workout while paddling that at the same time gives the possibility to relax and enjoy the great views of the Corinthian gulf. Here at Lido hotel’s beach you can always find 4-5 paddleboards. It takes just 1 hourly lesson to get the basic instructions and then you’re ready to go. Just stand on the board, paddle and glide peacefully on our crystal clear & safe waters. 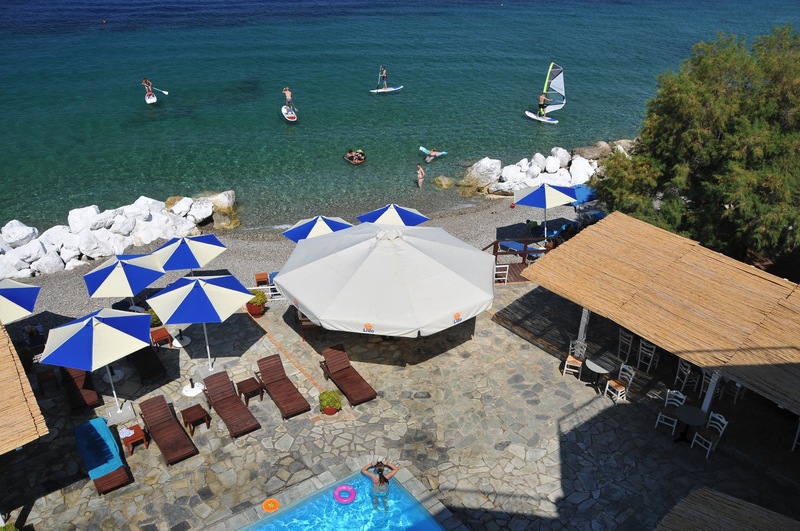 At the same time a wide range of windsurf sails and boards awaits you too! For the beginner to the most advanced windsurfer even kids, we have the stuff you need. Never tried it? No problem because a stay at Lido gives you a not to miss opportunity of learning this great sport! Private lessons for all levels are provided here for just 35€/hour.